Are You Suffering From Neck Or Back Pain Following A Car Accident? Home / Injuries After a Car Accident / Are You Suffering From Neck Or Back Pain Following A Car Accident? Immediately after you are injured in a car accident you may experience shock or pain, and you should seek medical attention as soon as possible. Once your condition is diagnosed, you will want to start thinking about getting compensated for your injuries. The U.S. Bureau of Labor Statistics reports that vehicular accidents on public roadways are the leading cause of workplace fatalities, and a major contributor to work-related injuries. Texas is a large state with higher than average accident rates. Almost 250,000 Texans were injured in car accidents in 2016, according to the latest statistics published by the Texas Department of Transportation, amounting to one person being injured on our roadways every two minutes and 16 seconds. What are the Symptoms of Neck and Back Injury? After a collision, victims may experience reduced sensation in their appendages, including numbness in the arms, legs, hands and feet. More severe spinal damage can lead to permanent paralysis and immobility. Another common injury suffered in car accidents is a herniated disc, and although it is less severe than spinal and neck injuries, it can bring on acute arm or leg pain, muscle weakness, and pronounced “pins and needles” tingling sensations. The effects of whiplash, the sudden jerking movement of the head and neck upon impact, can gravely injure the neck muscles and ligaments, and it starts with generalized neck pain and swelling. It is not uncommon for car accident victims who suffer whiplash to experience temporary vocal cord paralysis. You can identify discogenic pain by its silent attack when you least expect it, producing a long shooting pain when you are relaxing or lying completely still. It can be confined to the damaged disc or it can radiate to the legs, buttocks and groin as the extremely uncomfortable condition known as sciatica.What is Discogenic Pain? Discogenic pain is worsened by stretching, bending over, or standing for long periods of time, but everyone has his or her own form of relief. Some people find the greatest relief by laying down in the fetal position; others prefer to “walk it off” by moving about briskly. In order to properly diagnose disc problems and damage following a car accident, please consult a skilled technician who can use MRI scans, tomography, and discography to see the whole picture. Treatment for disc damage ranges from anti-inflammatory medications to epidurals (corticosteroid injections) and the last resort, surgery. What is a Facet Joint Injury? Facet joints are a lesser known part of the spinal cord, but can be insidious in generating pain and discomfort after a car accident. Basically, the facet joint is what keeps your body from bending completely backwards or sideways, and they need the lion’s share of nerve endings to accomplish this. If you damage the delicate facet joints, you may trigger excruciating spasms, and the only recommended treatment is therapeutic massage and ibuprofen. What Kind of Monetary Settlement Can I Expect? Severity and Duration of the Injury: A car accident can leave you with neck injuries ranging from minor sprains to whiplash and neck fractures; a back injury can be as mild as a strain or as serious as spinal cord damage and paralysis. In a personal injury insurance settlement or jury verdict, greater compensation is awarded for injuries that are more severe and long lasting. 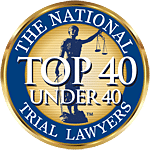 Past, Present and Future Medical Bills: These costs can amount to millions of dollars in cases of debilitating spine injuries and paralysis, but all victims of car accidents deserve compensation for medical treatment. Surgeries for a herniated disc are close to $10,000 in Texas right now; x-rays for minor strains and sprains can set you back thousands of dollars; and physical therapy for accident-related neck and back injuries often costs more than $100 per session. 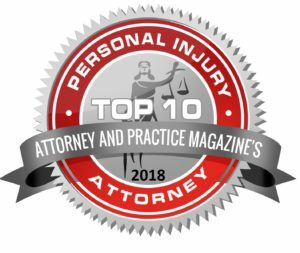 Compensation for Lost Income: When you suffer neck or back injuries from a car accident, you are entitled to be compensated for both the wages you lose as a result of your injury or hospitalization, and the income you will lose in the future because of an inability to perform in the future. If you are a professional tennis judge, for example, and you injure your neck or spine, you can be compensated for loss of earning capacity. Will I be Compensated for Pain and Suffering and Emotional Distress? 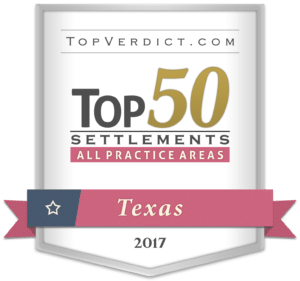 While the need for compensation for non-monetary damages is harder to prove in court, it is often awarded by Texas juries. Pain and suffering is assessed on a case-by-case basis, and is often coupled with “emotional distress” in this state. 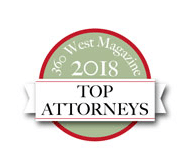 Sometimes, a back or neck injury is so crippling that the victim cannot enjoy life’s simplest pleasures, such as hugging a relative or having sexual relations, and large settlements can arise from these Loss of Consortium cases. When a car stops suddenly in a violent crash, the force exerted on the human bodies of its occupants is dramatic and can be deadly, whether the injury is to the neck, spinal or facet joint.